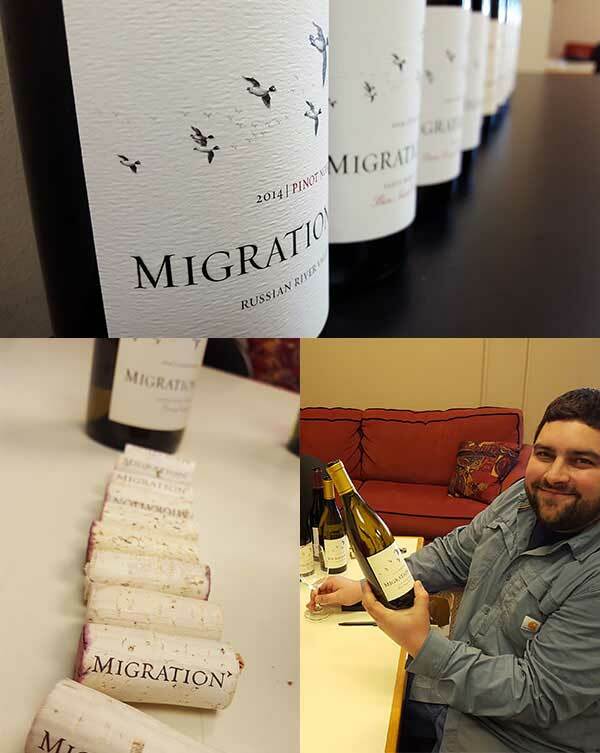 I had the great pleasure yesterday of tasting through the new 2014 vintage Migration wines with winemaker Bo Felton. 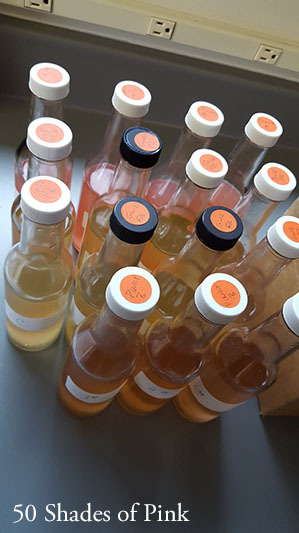 The intent was to get a sense of how they had progressed since bottling in August, and to assess their readiness for release this spring. 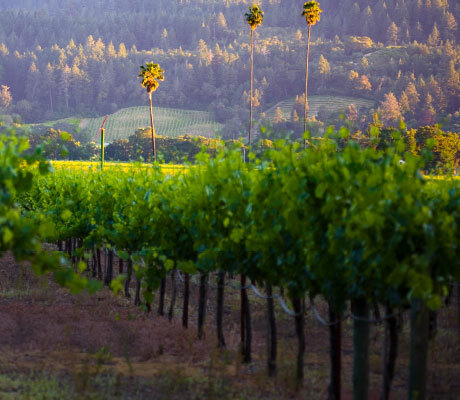 While still youthful, the wines were remarkable, and promise to be some of the most elegant expressions of our designated vineyards yet produced. 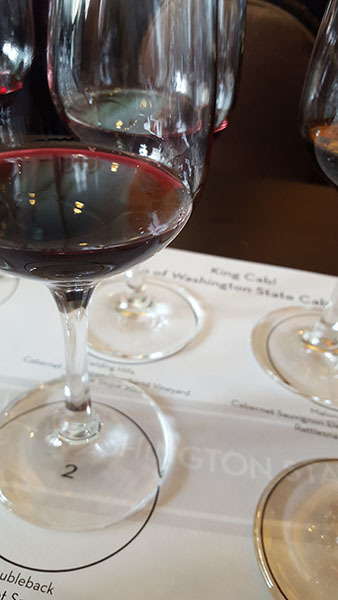 While tasting, a few things were notable, primarily the ability of great vineyards to maintain their special characteristics from year to year, despite very different growing conditions. Our Charles Heintz 2014 bottling has that signature Heintz character, as it has since we started working with Charlie’s fruit in 2009. It was also exciting to see some of the newer vineyard designates like the Bien Nacido Chardonnay in the lineup and see that they can definitely hold their own in a very good grouping. That they were all unique, yet well-crafted expressions of great sites is a testament to Bo’s winemaking technique and philosophy. Oftentimes the best thing a winemaker can do is nothing at all, and it takes restraint, respect, and maturity to allow great sites to express themselves. These wines have a purity and transparency that I find admirable, delicious, and illustrate his respectful approach to wine. It is one of the great pleasures of being in the wine business that we get to spend time in some of the most beautiful places in the world. I wanted to augment PJ’s great post about pruning with a couple of pictures, taken over the last few weeks, of some of the more remarkable vineyards visited. The first is of our Longwinds vineyard in Washington, which is on its second leaf, pictured here under the watchful eye of our Canvasback winemaker Brian Rudin. It is strange for a California winemaker to walk through a vineyard with snow on the ground, but it is another one of the many fascinating facets of growing grapes on Red Mountain. The second is a panoramic shot taken of a portion Napa Valley from the Silverado Trail. I think it is notable because it captures a rare break in the near constant storm action we have seen since Thanksgiving. After 4 years of drought, I think we are all thankful for the rain, despite the many consecutive dreary days. Once the hustle and bustle of harvest has past, and the wines are put to bed to begin aging in barrel, our winemaking team begins to turn its attention to the previous vintage and next part of the cycle: blending and bottling. This is one of my favorite parts of the cycle, though to some extent we are always blending and tasting something in the cellar. This is a fascinating, gratifying, and sometimes nerve racking process of assessing the wines in your cellar, and using trial and error to find the right blend. It takes a lot of time and energy to get a sense of each wine, oftentimes requiring many tastings. 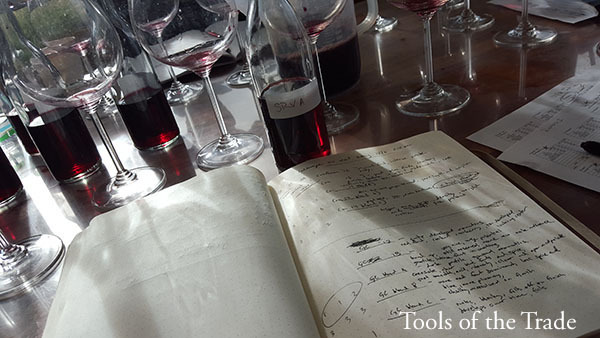 Additionally, the blending process is surprisingly non-linear, and it is hard to predict what combination of lots will make the best, most harmonious wine. For example, one would assume that putting the two best lots in the cellar would make an incredible blend. 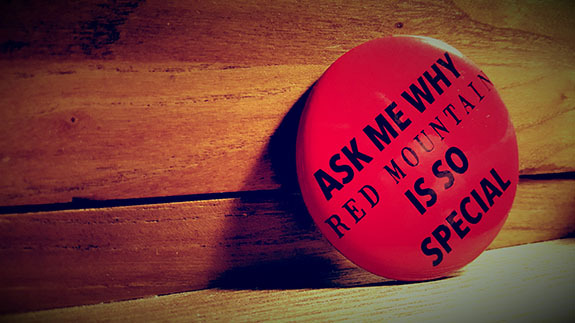 In reality, it is not always so, and the complexity of the wine matrix, with all the subtle combinations of tannin, anthocyanin, and acidity, makes trial and error a necessity. 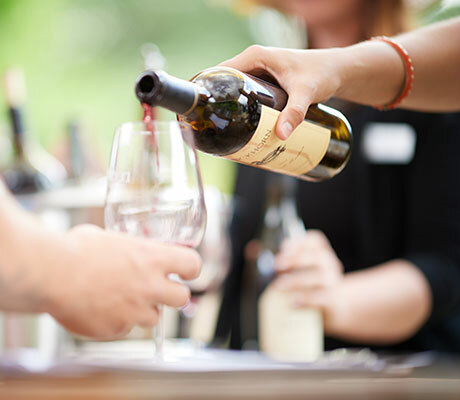 Taking consistent notes, tasting in a consistent manner, and having a trained group of tasters are all key elements of the tasting and blending process. 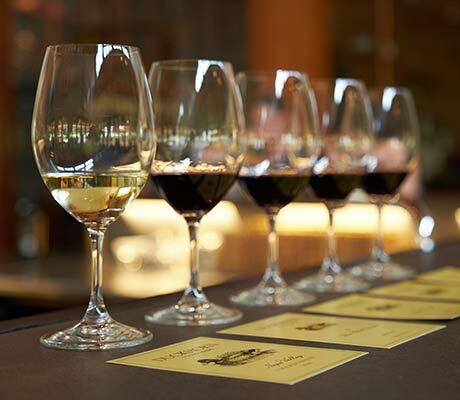 Each of the winemakers hone each blend until it is ready to present to the larger team. 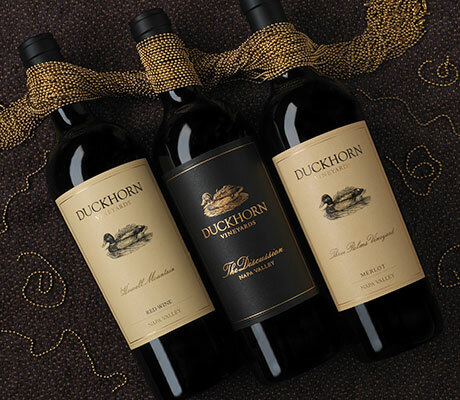 Since the first vintage of Duckhorn in 1978, it has been our custom to present the final blend options to the larger group of winemakers, garnering valuable perspective and feedback on each wine, as well as giving the team a vision of what is to come. 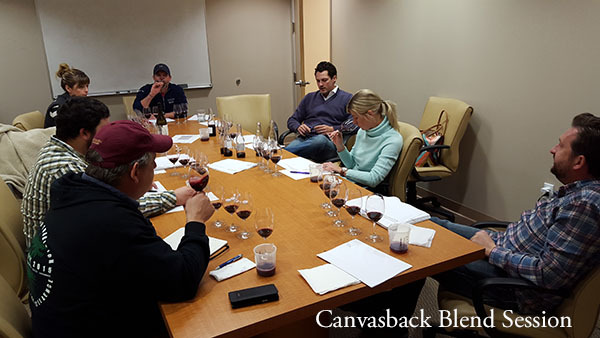 Pictured below is the team tasting through potential 2014 Canvasback blends, which is especially fascinating for California winemakers learning about a new region. 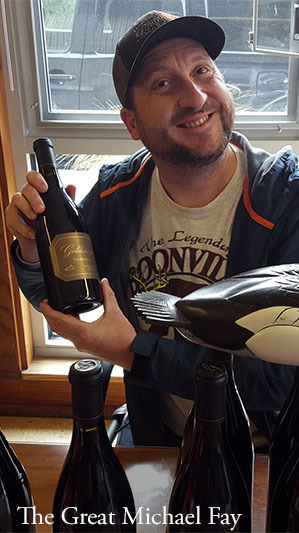 At Duckhorn Wine Company, I am convinced we have a truly unique team dynamic. Each of our brands has a dedicated winemaker, each a specialist in her or his field, with extensive experience in the world of wine. In addition, these are all folks who love their craft. As a result, we have some pretty incisive, yet wide ranging discussions on the finer points of winemaking, style concepts, blending, etc. I feel lucky to be a part of such a dynamic team, and feel like I learn something every time we get together. A quick update for those of you out there anxiously awaiting the final results of the beard growing competition, noted on this blog during harvest. 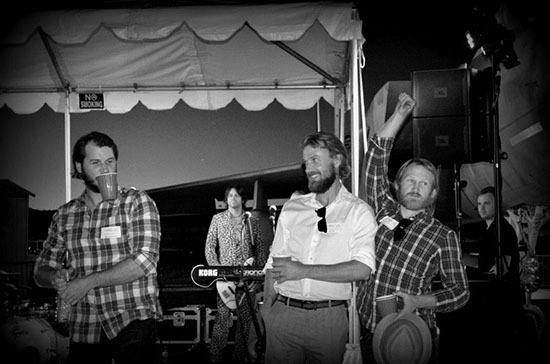 The contestants were judged at our annual harvest party by the entire company, the person receiving the largest applause to be crowned champion. Though there was great applause for all three, Joe Uhr, wearing white in the photo below, took the prize. Congrats Joe! The Last Pairing of 2015! I am not usually a pairing guy. 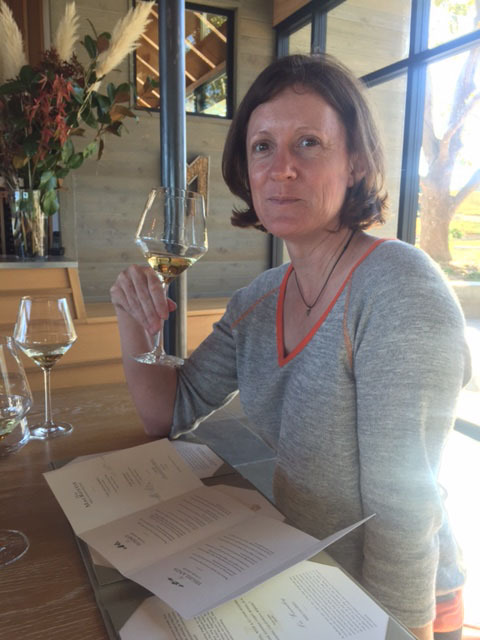 This is in part because as winemakers we are always looking for the unadorned truth of wine, to get a sense of its flaws and beauty, as we steward it towards completion. 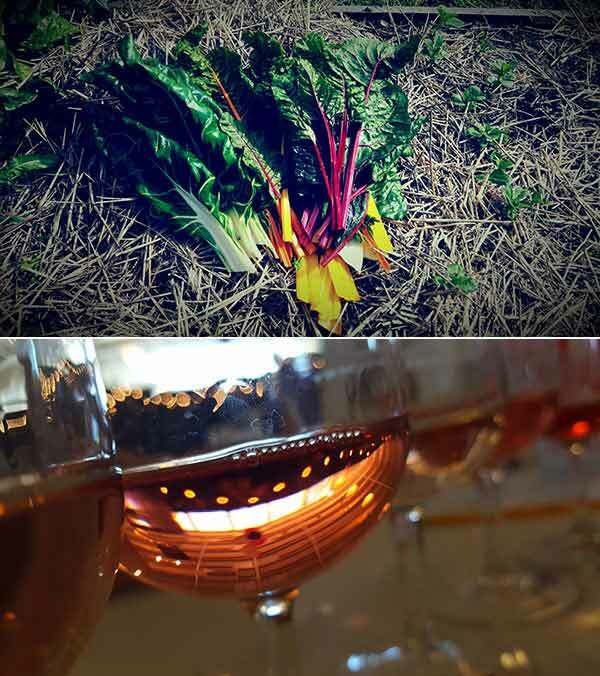 Food combinations, while lovely and delicious, can obscure the wines nature. I recognize that I am probably missing out on a lot of deliciousness and should probably just enjoy wine and food for what they are. That is harder said than done, and is perhaps the downside of making your passion your profession. However, every once in a while I taste a food and wine combination that is so startlingly good, so mind numbingly delicious that the light goes on and I get what pairing is all about. Just such a thing happened the other night, as my family and I gathered for our Christmas dinner. The main courses had been served (which were delicious Mom! ), the kids had scurried away to play with toys, and the adults were left at the table to chat and feel stuffed. 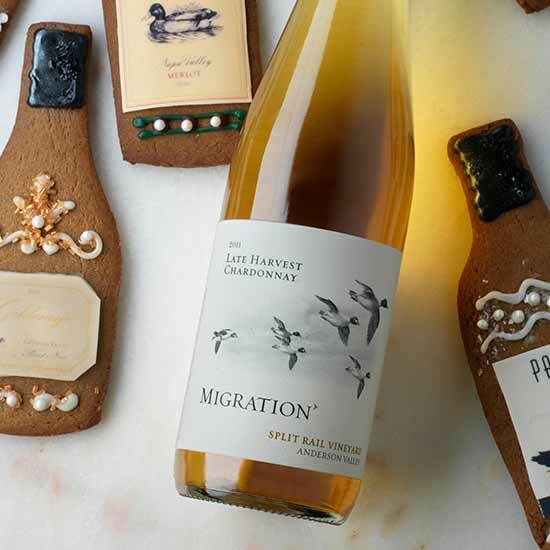 I opened a bottle of the 2011 Migration Split Rail Late Harvest Chardonnay, which is now becoming a thing of beauty as it ages, and my mom served roasted chestnuts. We cracked them directly on the table, making a mess in the process, and the smell of the toasted, delicious nuts filled the room. The combination of the sweet, dried apricot botrysized Split Rail and the warm nuttiness of the chestnuts was remarkable. 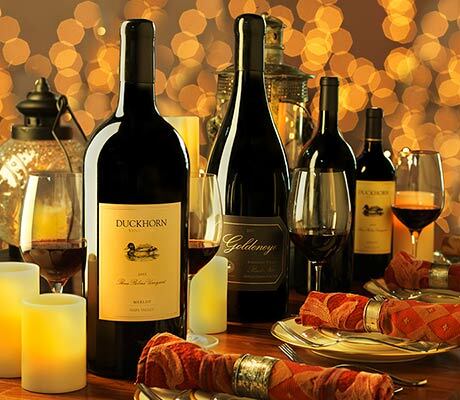 Thanks to everyone on the Duckhorn team for a remarkable 2015, and a Happy New Year to all! 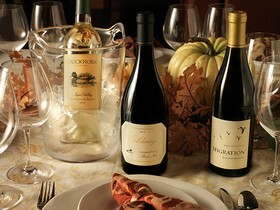 November is a special month in the winery, especially after the intensity of harvest. Typically we are finishing off fermentation, pressing off skins, putting wines down to barrel, and carefully monitoring ML conversion. This year was so early many of our wines are already finished with ML conversion! 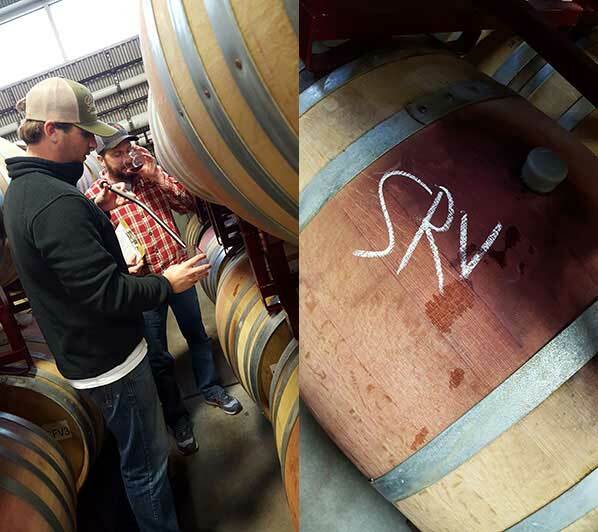 Activity around the winery slows, and there is plenty of time to taste through the last vintage red wines and start the blending process for Sauvignon Blanc (which tastes amazing)! There is also plenty of time to consider how fortunate we all are to live and work in such an beautiful place, and to be thankful for everyone who makes Duckhorn such an incredible place to work. Many thanks to our amazing team, and Happy Thanksgiving to all!